“A consolidation of GT regulations and significant manufacturer support saw British GT first introduce a GT3 class in 2005. The category later mirrored that of the FIA GT3 European Championship and has used near-identical regulations from 2006 onwards. GT3 rules include extensive performance balancing and handicap weights to make cars artificially more equal. Cost-saving measures saw the series’ previous premier class, GT2, phased out at the end of 2006. Anyway, we digress. In the latest rounds of the British GT Championship, which were held at Norfolk’s Snetterton race track over the May Whitsun Bank Holiday weekend, in the GT4 Class which sees the likes of Porsche Caymans racing against McLaren 570S’, Nissan 370Z’s and Aston Martin Vantage’s, the Ginetta’s (driven by our team on the track; Team HARD, and other teams as well) put in an improved performance finishing top of the class (HHC Motorsport and Lanan Racing). The Team HARD run, RCIB Insurance Racing sponsored cars finished in 22nd and 26th in Race 1 and 18th and 21st (9th and 12th in class), with Lanan Racing again representing one of the 2 top spots in their own Ginetta G55. More impressively are the times that separate the top of the table from the bottom – there isn’t a huge amount in it, showing that the cars are always seemingly up with the pack, even when they aren’t necessarily winning races. Picture courtesy of Ian Cutting Photography. RCIB Racing sponsored, TEAM Hard’s 17 year old driver Callum Jenkins will be participating in the second round of the VAG Trophy Championship in less than a week. He will be one of the younger drivers competing at the race. Among some of the circuits that Callum has driven at, is Silverstone, Brands Hatch and Donington Park. He’s also no newbie when it comes to Snetterton, last year he had his best results here and is expecting to receive nothing below those, this time. You are a very young driver, how do you think this works to your advantage and disadvantage? What impression did you have of the first round at Rockingham? Were you happy with your results? 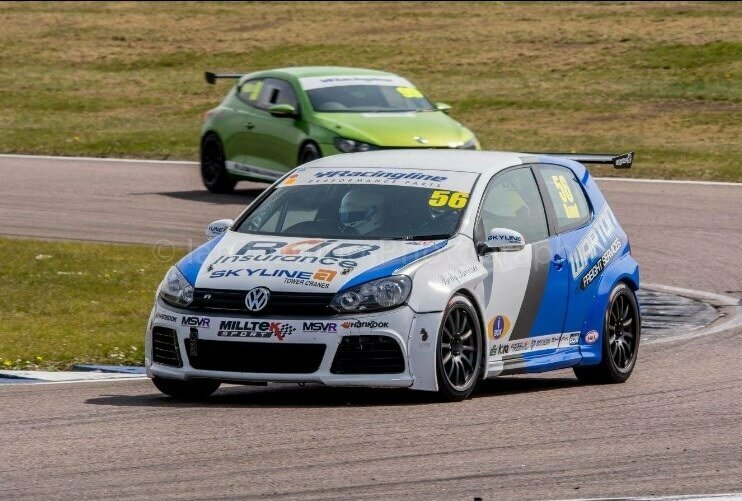 Rockingham holds sentimental value to me being the first circuit I ever raced a car at back in 2015, however for my style of driving it isn’t my favourite track. A mistake in qualifying on my flying lap meant my position didn’t reflect the pace I had shown which was disappointing but I knew I could make it through the pack in the races. One of a racers worst fears is to stall on the start line and I couldn’t believe it after spending last year working on my race starts, there I was stuck on the start line with the rest of the pack flying past me, I got my head down though and fought through the pack to finish 8th, which I was really pleased with. A first corner incident in race 2 coupled with worn tyres meant I came over the line in 12th and although these results weren’t what we were hoping for, it was a fantastic first weekend with team-HARD and I had some amazing racing. How have you been preparing for Snetterton? How have the testing days went? Having had my best results last year at Snetterton, I am looking forward to getting back there to see what I can do with a different car and a completely different field of drivers. Hopefully everything will go well next week at pre-race testing and my focus is to not let myself put extra pressure on myself trying to compete with last year’s results. What are your expectations for the second round? The main thing I want is to take away better results than Rockingham, I need to focus on a good points haul to push me up in the driver standings, but also I hope to have lots of clean, fun racing in the process and to continue learning! Catch Callum Jenkins at round 2 of VAG Trophy on the 27th of May. 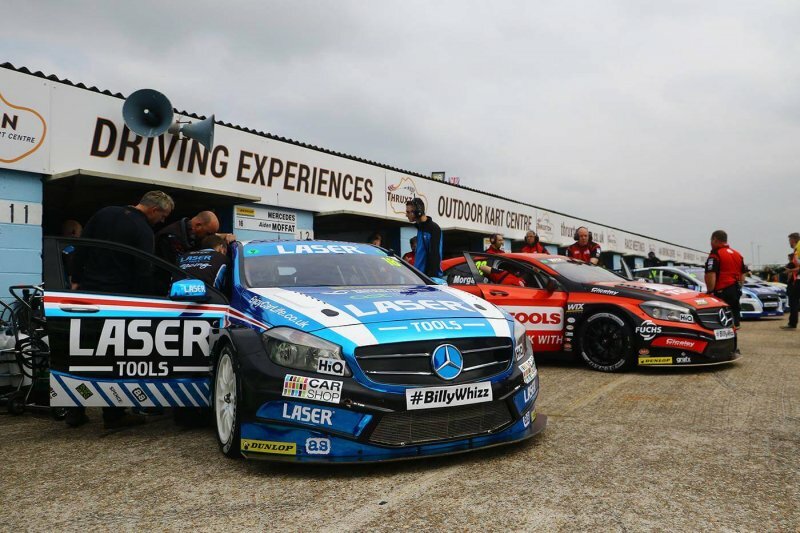 If you tuned in to BTCC live video or ITV4 this weekend, you will have seen a three-round race that left a lot of spectators lost for words over the very different outcome that each round brought. Halfords Yuasa Racing, 2015 and 2016 BTCC champion, Gordon Shedden who came 7th in round 10 and 4th in round 11, ended the final race with a clear victory and 1st position in the overall drivers standing board. Not far behind him now stands Team BMW’s Rob Collard, with Speedworks Motorsport’s Tom Ingram in third. With Andrew Jordan and Matt Neal already in front, more than half a dozen of cars were fighting for third position coming up to the end of race one, Aiden Moffat pulled a bold stunt and squeezed Ashley Sutton’s Subaru onto the grass on the exit of Island Bend, making both of them leave their secured positions and allowing Colin Turkington back by. However, Sutton got back on the track without too much hassle and repeated the trick on Moffat at Old Hall moments later and regained his position to secure third place at the end. Due to an electrical problem, Turkington was soon out of contention and slowly scraping for the finish line. Sutton then went on to succeed in the second round and claimed victory by 1.066s, ahead of Rob Collard, securing a first win for Subaru and the second of his BTCC career. While race three proved to be a Halfords Yuasa Racing trophy, with Gordon Shedden finishing first and Matt Neal running right behind with 0.279s difference. Shedden however, didn’t finish with an overall support after an incident with Josh Cook of Team Parker with Maximum Motorsport, left the latter with significant damage and out of the race, however no penalty was given to Shedden. 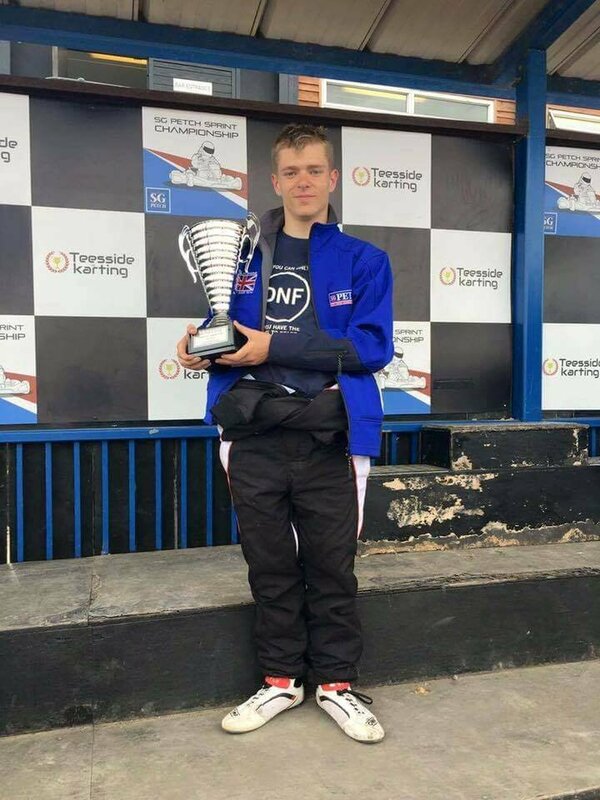 Oulton Park proved to be a bit of a challenge for RCIB Racing sponsored, Laser Tools Racing driver Aiden Moffat, dropping his rank by one spot and leaving him currently standing in 11th place. However, he did finish the qualifying round in 4th and has gained himself an overall independent driver standing of 5th place! 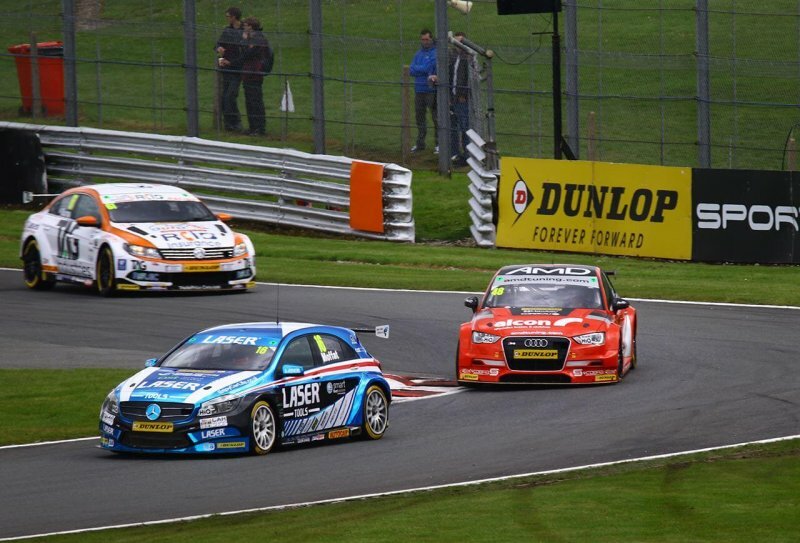 The Second British Touring Car Championship round of this month will be taking place this weekend. 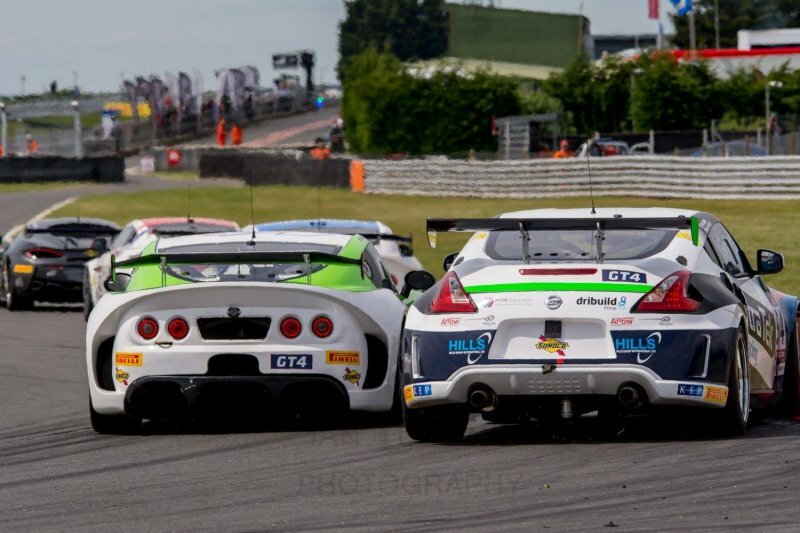 Oulton Park will see the three rounds of BTTC split over two days, promising an exciting event. The drivers have only had a two week gap between the last round at Thruxton and the one upcoming at Oulton Park. Rainy past couple of weeks do not seem too promising for the drivers either, wet tarmac will without a doubt affect some of their performance, especially as this circuit is already known for being tricky. “Looking forward to the weekend, it’s where I qualified in second place last year, so my first front row for BTCC. It’s my local circuit so I have a lot of sponsors and support this weekend, which is always great! The team have been working very hard to make progress and the things we learnt at the Croft test should be relevant for Oulton as well. 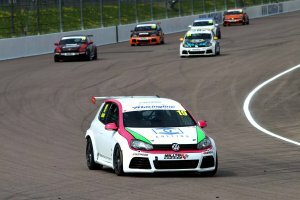 Dust from the second VW Cup round at Rockingham has set and round 3 at Snetterton is less than two weeks away. Drivers have been preparing for the race by organising as many test days as possible. Two of the RCIB Racing sponsored TEAM Hard drivers, Jamie Bond and Toby Davis have both completed their first test days on 11th of May and are growing in confidence for round 3. Jamie Bond had quite a tough second round, but managed to end it on the podium stand, with an overall points standing after Oulton and Rockingham, in third position, behind Phil House in second and Tom Witts in first. “I am happy with the results from Oulton Park and Rockingham. We are still learning every time we get in the car and I know that there is a lot more to come. The preparation for Snetterton has been going well, it will be the first time that I will have raced at Snetterton. Regardless, our first test on the 11th of May went great – really enjoyed the track, it suits my driving style wonderfully. Gym work has also been going very well – making sure I’m fully prepared for the race ahead. Don’t miss round 3 on the 28th of May. 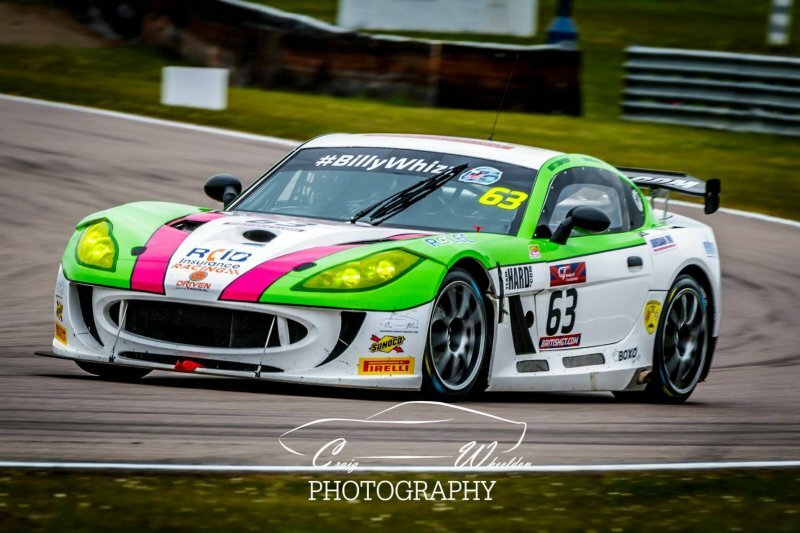 The Team HARD run, RCIB Insurance Racing Ginetta G55’s were again up against some impressive, and highly expensive rivals including Bentley, McClaren, Aston Martin and Ferrari. Whilst the two pairs of RCIB Insurance Racing put up a good fight (and let’s face facts, they looked pretty gorgeous too), they finished the day with most of the other Ginetta’s on this occasion in the bottom half of the results table. But, the 2 hour long race was not without controversy. A safety car came out for a brief spell on lap 3, and the eventual race winners were Team Parker Racing with their Bentley Continental GT4. But this wasn’t before ‘Spirit of Race’ (Ferrari) were knocked back into 2nd place as a result of a post race penalty. Whilst some in the crowd wondered what was going on, and questions were inevitably asked about the Safety Car procedure which led to the course of events on track, it seems things were handled correctly ‘by the letter of the regulations’. But there was a 2nd, subsequently un-warranted investigation too regarding possible ‘avoidable contact’ between other drivers, meaning the whole race was fraught with nose to tail driving at the front in the big supercars, and a close checking of rules and scrutinising of driving behaviour after the event by officials too. One thing is for sure, and that is that this round at Rockingham is never dull and if you like seeing the likes of Ferrari battling head to head with old foes, Lamborghini, or traditional British marques including Bentley, Aston Martin, and of course our own Ginetta’s showing the world why they’ll always be red, white and blue in the sport for the forseeable, you’ll not go away disappointed. Next round is at Snetterton on 27 – 28 May. Photo courtesy of Craig Wheeldon Photography. A decision had to be made whether the staff are good enough, and whether the equipment carried by the team on site are also extensive enough to repair the car. In total, just under 90 minutes were available to totally rebuild the car and it was clearly a phenomenal effort from the whole crew that made Lloyd’s third race possible. Lloyd finished with ‘not classified’, however, he is extremely pleased with an amazing effort from the entire team and is now simply looking forward to getting back on track. “Saturday could have gone better for us, I made a mistake through the final chicane and that ruined a lap that had the potential for 5th place. During Race 1 we were held back by battling in the pack gaining and losing places, finishing in the end 12th which was disappointing. Race 2, we made a great start and got up to 8th as the race progressed. I went to make a move for 7th but got hit wide in the process after leaving room and not being returned the favour! So, we ended up 9th due to that. Perhaps it wasn’t really the performance that Laser Works were looking for, as Aiden said that they “should really have had pace to challenge for a podium”, however they did pick up good points and now sit 10th in the championship despite getting not a single point at Brands Hatch. Donnington Park had proven Moffat to be an extremely talented, young driver, seeing him finish in first place – with this standing he remains in a very strong position to climb to the leaders top 5, if not the podium again, over the next couple of rounds. Thruxton saw Team BMWs, Colin Turkington live up to his potential and with extra determination take home the victory. Speedworks Motorsport’s Tom Ingram came in second and Eurotech Racing’s Jack Goff finished third. A high speed smash between two MGs and Senna Proctor’s Vauxhall, led to a serious barrier slam and accident for one, on the famous Church corner. It luckily did not result in any injuries, but stalled the race for over an hour when a red flag was raised, while Autoaid RCIB Racing’s sponsored Daniel Lloyd was being helped out of his badly damaged car, he finished with non-classification. 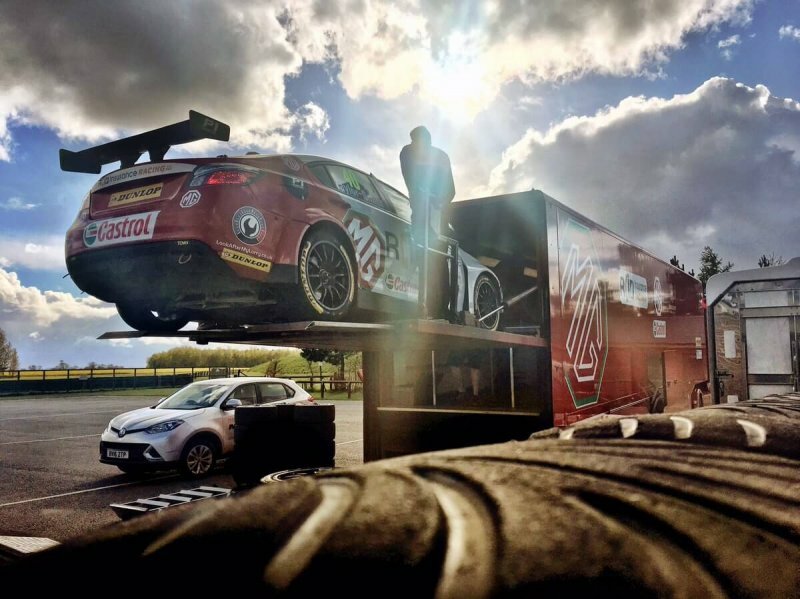 With the British Touring Car Championship taking place this weekend, 6th and 7th of May, there has been no time to waste for the competing drivers. 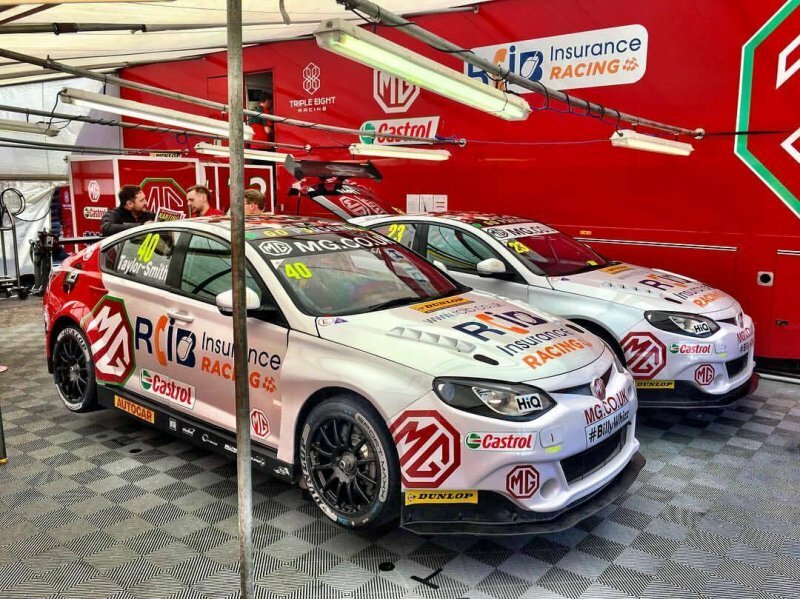 Two of the MG Racing RCIB Insurance sponsored drivers, Aron Taylor-Smith, who is currently standing in the 17th spot and Daniel Lloyd, who is 25th, are both in confident mindsets that they think will push them further up the ladder towards the leaders board. They will be holding a Q&A event on the 5th of May where more details will be given about how their preparation has been going and what expectations they have for the future rounds. “The entire day spent at Croft was of huge benefit. The two MG’s ended up being the only two cars out on circuit which meant we had all day to test a variety of different theories on the car. The engineers along with Dan and myself left feeling very confident with some of the areas we had tested. The leaders in the top 5 positions remain in this order: Tom Ingram with 86 points in first, Colin Turkington with 72pts in second, Adam Morgan with 69pts in third, Gordon Shedden with 67pts in fourth and Rob Collar with also 67pts in fifth. Ingram is very much ahead of his fellow leaders, however Turkington has his eyes set on first position and will not go down easily. We are being promised an exhilarating race. 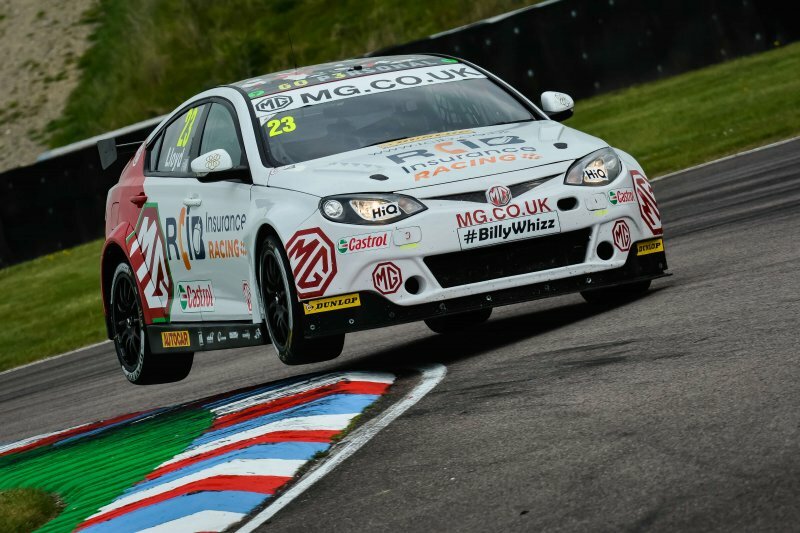 Head down to Thruxton this weekend and see it for yourself! This is a new venture for you, you have left BTCC this season and entered British Rallycross. Are you happy with that move? 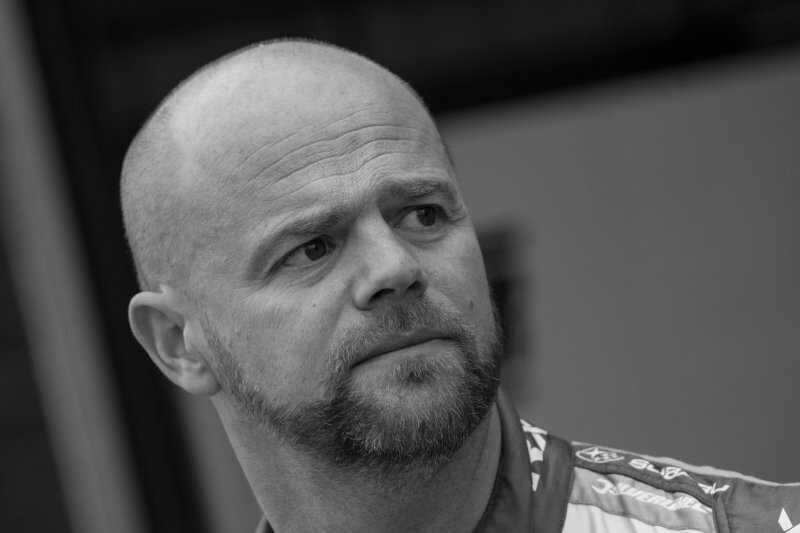 “Although I remain 100% hands on with BMR in the BTCC in the role of Team Principle, I decided to give RX a go because I found that the BTCC was no longer a hobby for me. Running numerous cars in the BTCC with very high profile drivers made it almost impossible for me to concentrate on my own racing. I am absolutely loving RX, The car is awesome and I can relax and enjoy my racing. With LD Motorsports running the RCIB Racing Citreon DS3 for me, I can literally just turn up and focus on my own racing and enjoy the day. How did you find the first two rounds? What would you say were your highlights? Are you pleased with the results from the previous two rounds? Third Round of the championship will take place at Pembrey on the 25th of June. How has the preparation for this next round been going? Are you confident that you will be standing on the podium again?